These beauties met on Music Station, a Japanese music show, in February. Both TWICE and Camila Cabello were there to perform and promote their Japanese releases. This photo happened during their collaboration, “Freal Luv”. 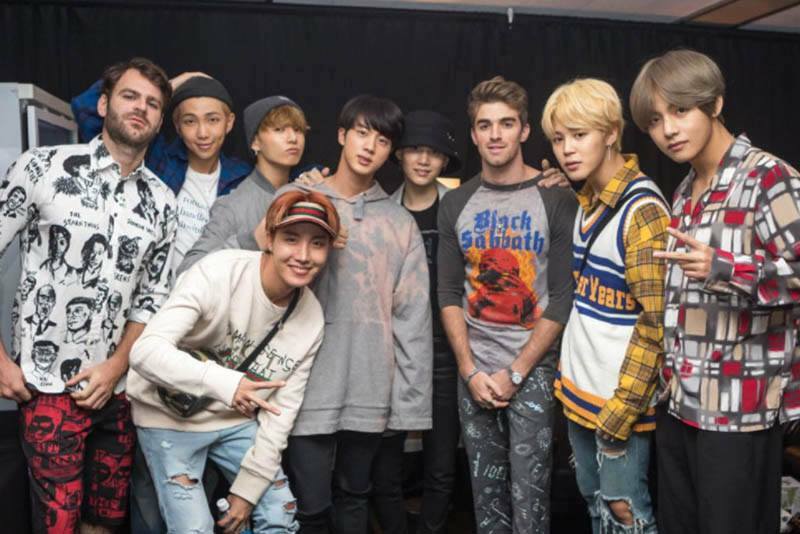 BTS and Steve Aoki snapped several selfies during their “MIC Drop” collaboration. 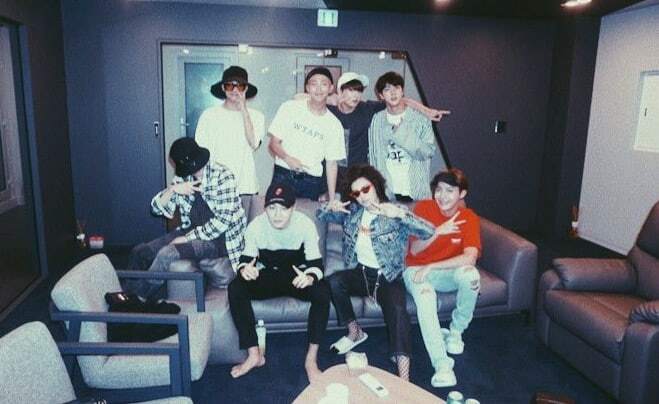 This photo was taken during their collaboration, “Best of Me”. Okay, this is clearly a professional studio shot and not a selfie, but we’re going to let it slide. The shot was taken during promotions for the trio’s collaboration song, “Cave Me In”. These two collaborated on the track “Deserve”. This photo was taken during filming for their “Fantasy” music video. These two Jays snapped this pic during the 2018 Pre-Grammy Awards Party. Jay Park is signed under Jay-Z’s Roc Nation label. At the same party, Jay Park also took a photo with Jay-Z’s glamorous, superstar wife, Beyonce. He also took a selfie with Will Smith‘s son, actor Jaden Smith. Jay Park is quite the mingler! Big Sean is just one of the many American celebs Jay Park hung out with before the 2018 Grammy Awards. T-ARA N4 hung out with Wiz Khalifa backstage at the Memorial Day Weekend concert held in Las Vegas in 2013. These two stars love to take goofy photos whenever they cross paths! 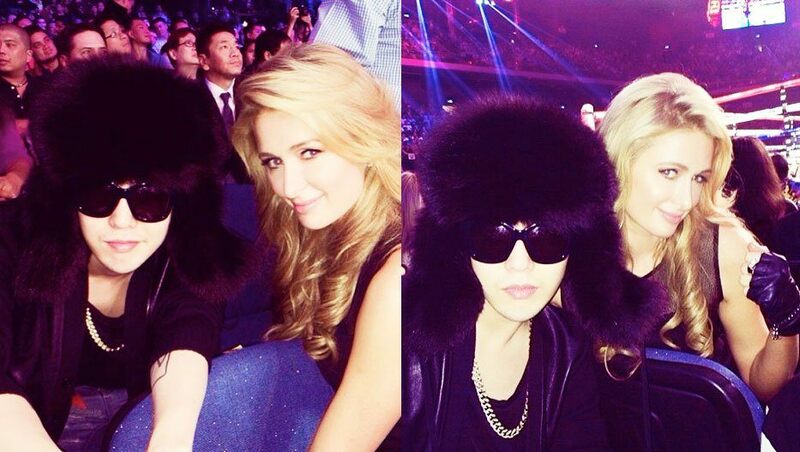 These two met back at MAMA in Hong Kong at the MAMA awards and also took a photo together at a boxing match in Macau. In 2014, Crayon Pop joined Lady Gaga on her Artrave: The Artpop Ball tour. When Tom Hiddleston visited Korea to promote Thor: The Dark World, he made a guest appearance on Mnet’s Wide Open Studio, which Tiffany hosted. During their time together, he planted this cute kiss on Tiffany’s head! Tiffany and Brad Pitt met in Seoul during promotions for World War Z. Tiffany conducted an interview with the superstar. 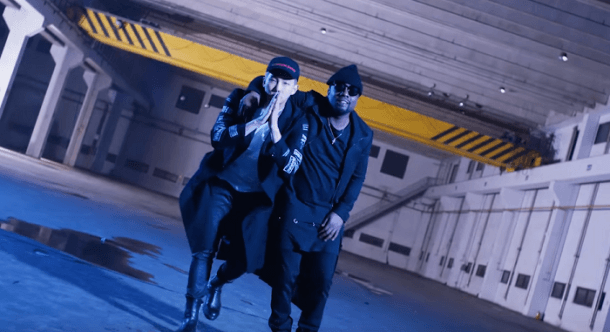 These two created a hip-hop collaboration titled “Change”. These shots were captured on the set of the “Change” music video. Justin Bieber gave Dara this sweet kiss during a launch party for Jay Park’s record label, AOMG. In 2012, Bill Murray snapped this photo with Girls’ Generation during an episode of The Late Show with David Letterman. ASAP Rocky is just one of the many western celebs CL has taken a selfie with. It would be easy to make this list just about CL, because she is friends with everybody! 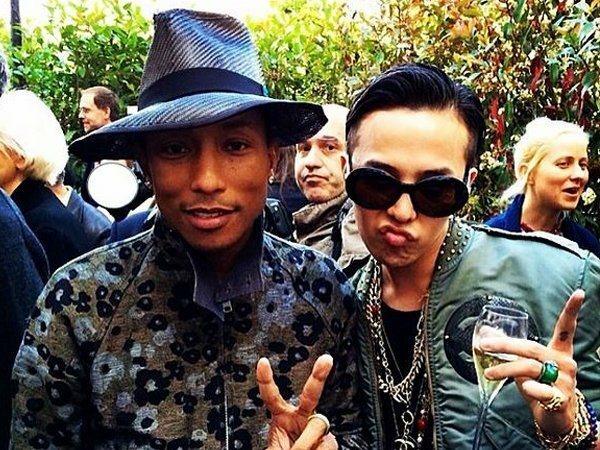 These two artists have completely different styles, so many people were surprised when they released a collaboration in 2014. 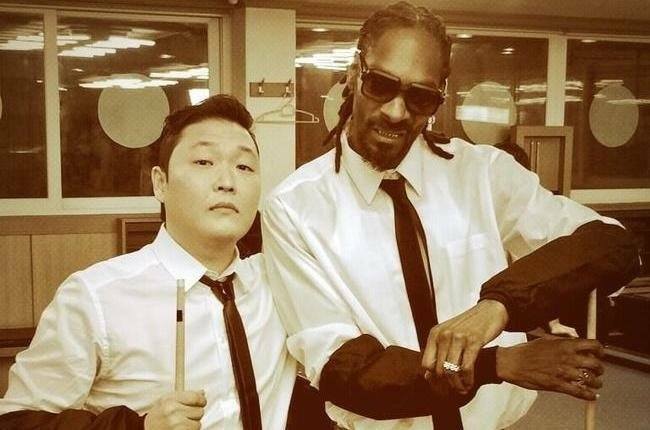 PSY and Snoop Dogg made a ‘splash’ with their single, “HANGOVER”. PSY and Justin Bieber snapped this selfie when their paths crossed. These photos happened in 2017 when Charli XCX was in Korea. She was there to perform at the Incheon Pentaport Rock Festival. This selfie is crammed with superstars! It was taken during filming for J.Y. Park‘s hilarious “Fire” music video.